Refreshing, fun, vibrant and delicious! The brand new Watermelon Kiwi Summer Daisy™ is filled with sun-shaped pineapple, generously sliced kiwi, juicy watermelon ball sticks, cantaloupe, strawberries and grapes arranged in a mouthwatering, bright and fun display! 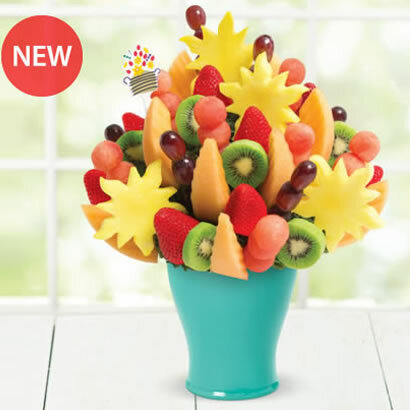 This fruit bouquet is the perfect addition for all of your summer time plans; Summer BBQ’s, Graduation Parties, Gifting and more!